You could move to Vancouver, where the available jobs per thousand have gone up 1 since last year to 6.46. The cost of living in Vancouver could make this a harder city to settle down in, but this has a lot to do with its desirability. With beaches, mountains, access to stunning nature, mild winters and a bustling and diverse urban life, it’s no wonder people want to live here. The city is nothing short of breathtaking, and if you can find a reasonable place to live, you could have a really great life in Vancouver. Surrey, British Columbia is another choice, with 5.59 available jobs per 1000, and though it is affected by the astronomical housing prices in Vancouver due to its proximity, decent, relatively affordable housing can still be found. This urban centre is a hotbed of growth, and because it is technically part of the Greater Vancouver Regional District, you’ll have access to everything Vancouver offers, plus the beauty of Surrey's parks and culture. The city is vastly diverse and has developed a food culture all its own. There’s nightlife, there’s nature, there are great food and drinks and you won’t likely see much snow. Burnaby, British Columbia has 4.52 available jobs per 1000. It’s another city included in the Greater Vancouver Regional District and actually rests on the border of East Vancouver. It’s just a short drive to downtown Vancouver, but if you want to stay in Burnaby, your life will be full anyway. Burnaby boasts the GVRD’s most popular amusement park, Playland, as well as many lush, green natural parks to play, hike and explore in. You’re also sharing a city with first class Simon Fraser University, world-renowned chefs, an exciting nightlife and loads of shopping. Has 3.85 available jobs per 1000, and although it’s a little bit chillier in the winter than the west coast, housing is a bit more affordable. The city is located right on Lake Ontario and boasts a ton of great shopping in their many malls. It’s just a hop, skip and a jump to Toronto where you can enjoy everything Canada’s largest city has to offer. Has 3.84 available jobs per 1000, and its housing is quite a bit more affordable than all the other cities on this list. It’s a cold winter, but the summers are hot and dry. 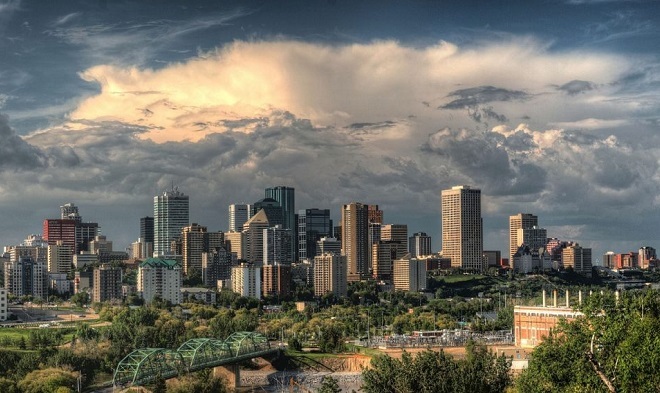 Edmonton has a lot of museums and art galleries, as well as access to loads of rural land surrounding the city. It’s full of parks and places to ride your ATV or your snowmobile and it’s a great place to raise kids. If you’re struggling to find work where you are, these five cities could be Canada’s best options for you. Would you move to find work? Let us know in the comments!